The receptionists were really courteous in receiving us and as a token of affection I was told by them that for the first time the owners of the property had given a bowl full of fruits which was really wonderful and amazing. We always respect them. The staffs of all departments are really hard working and please the tourists in house keeping and room service. Really wonderful days. Neeraj restaurant service, Rajeev and Raju house keeping service and as said room service really up to mark. 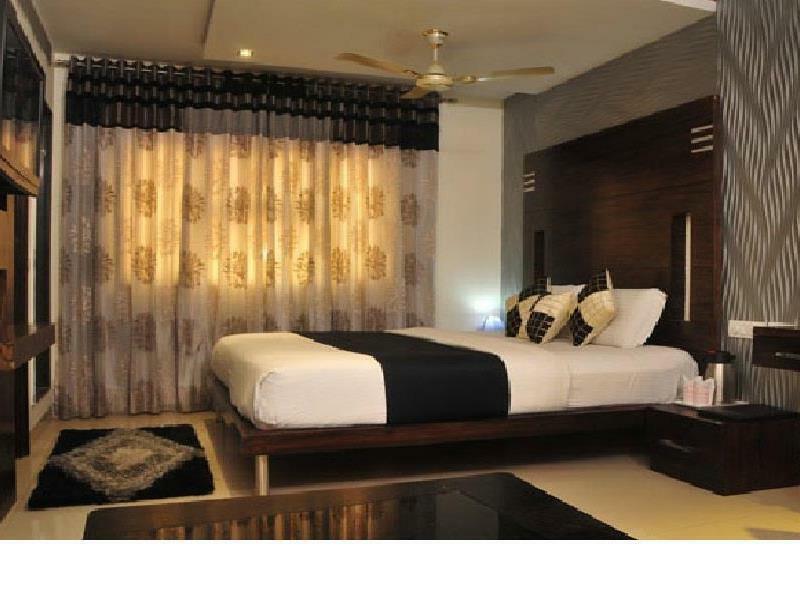 The property has changed , altered and renovated various rooms with latest touch buttons and fixed centralised air conditioners. Now I think there are no problems as far as we are concerned as our problems have been solved. Last but not the least Morning duty Security Mr.Anil really was very helpful in getting cabs and auto for our travel and necessarily has to be complemented. We like to tell is Mr.Singh brothers really come to the property and supervise personally which act is appreciable. Management give you a crap room and when you querie it they tell you that Agoda only paid them 1000 rupees. I had to pay more money for a decent room. Management never greets you. Front desk tells you one price and when sent to the next staff, he will give a higher price. This is for train to Agra and taxi to airport. I went to train station and booked tickets which cost me 7000 rupees cheaper. I booked my own taxi to airport and when I was checking out, Management staff offered to take me to airport for 500 rupees. I told him that it was not about how much the taxi cost but it was about the principal of honesty. However apart from all this I cannot say anything bad about the staff that assigned to my room. He obliged in any requests made and was prompt in his service and he was rewarded with a handsome tip. Payment required for drinking water. Location is perfect and close to everything.. room is very spacious and Everything is comfortable. The only positive thing about here is it's proximity to Railway station. The whole area is dirty, congested and noisy. The hotel itself is so dirty it's beyond description. It was recommended to me by a family member. No hot water. No service. I used to stay at this hotel due to easy location. I was on a business trip. I had called my male frnd to come for meeting that too in day time. Every time they allowed male frnds in room but this time he said guests are not allowed. My business frnd got annoyed. He left . This receptionist old guy had lied to me while he allowed others to take guests in there room even females in their room. When i confronted him next day he said he wont allow u can leave the hotel. I was shocked with his rudeness. He even abused me. All other staff members said that he is rude and mannerless and he got annoyed bcoz i changed my room which he alloted for another due to noise from others rooms... They claim rooms are sound proof but its not . I can hear moaning screaming noises.. Ppl drinking and chatting loudly. Due to this i changed my room which infuriated him. Pathetic behaviour. I wont recommend this hotel to any one. I changed my hotel to Hari Piorko in the main market. Hotel management needs to look after the room maintenance. Some of the rooms look so shabby, needs renovation. There is no curtain in the bathroom, so when one takes shower in the bathroom, the entire bathroom gets wet. I hope management will consider renovation asap. 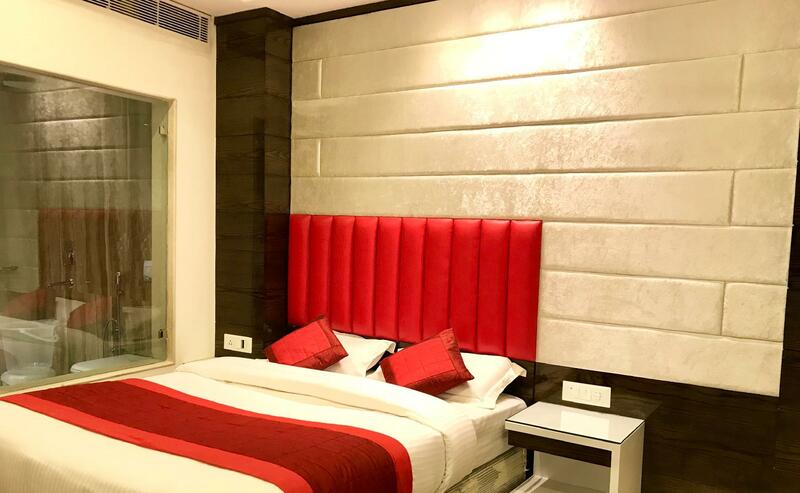 Good airconditioning (a must for Delhi), clean room, prompt room service, friendly and courteous staff, central location (though not of a high standard). The stay at the hotel was quite good. The staff were expecting me and were helpful in checking me in at once. The room was quite clean and well maintained and the air conditioning (a must for the Delhi weather) was near to excellent. The room service was very good and prompt and wifi internet log in details were provided readily by the staff almost immediately (valid for 24 hours on a rotational basis). Josey and Rameez among the room service were quite helpful not only in the room maintenance and daily cleaning but also in helping search my way around various locations in Delhi and pointing out the best way of getting to the locations. This is a best value for money hotel for a budget traveller who wants more to sightsee and return to the room every evening to freshen up. I did not find any evidence of pickpocketing and criminal activity that I was expecting as the location is not great. Transportation (tuk-tuks, cycle ricksha, auto rickshas, buses) are plentiful but one has to negotiate the price beforehand or share with other passengers. Charges are quite low compared to London if measured in pence, so I didnt feel it much. The railway station (New Delhi) and the Metro (probably in some ways better than the London Underground) are both nearby. Connaught Place is about 10 mins away by tuk-tuk and Rajeev Chowk (Metro Stop) is located right there, including most shopping areas and restaurants (KFC and McDonalds). The best way to go around Delhi is to plan the trip and then use the Metro as far as possible (cheap and excellent service). Get to Metro Stop (Rajeev Chowk) by bus or tuk-tuk. I would probably stay at this hotel if I visited Delhi again. we had made the booking in singh empire dx .. it was very close to new delhi railway station the room was so nice , clean, with king size bed,. we have take free breakfast in buffet .. its just like five star .. staff are so freindly.. we will recomanded to everyone..
สถานีรถไฟ New Delhi - ระยะ 1 กม.